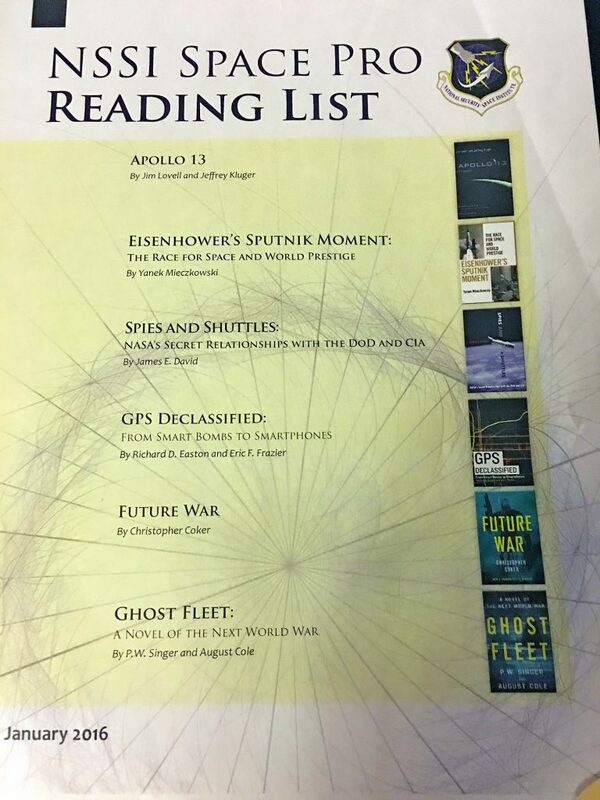 While not a review, per se, perhaps the most appreciated feedback we have received regarding GPS Declassified was being selected by the Air Force’s National Security Space Institute for its 2016 Space Professionals Reading List. Each year, NSSI surveys faculty members and other space experts for nominees and selects half a dozen titles to recommend to its students and alumni. Other Air Force trainers sometimes share the lists, and they have some longevity, as we were recently reminded by a friend, who sent us the photo below.